Diabetes in India is becoming common among people belonging to lower socio-economic groups living in urban regions of the more developed states, shows study. New Delhi: Poor people living in the urban areas of India’s affluent states are more prone to diabetes than those in the states who are socially and economically better off, a study said. 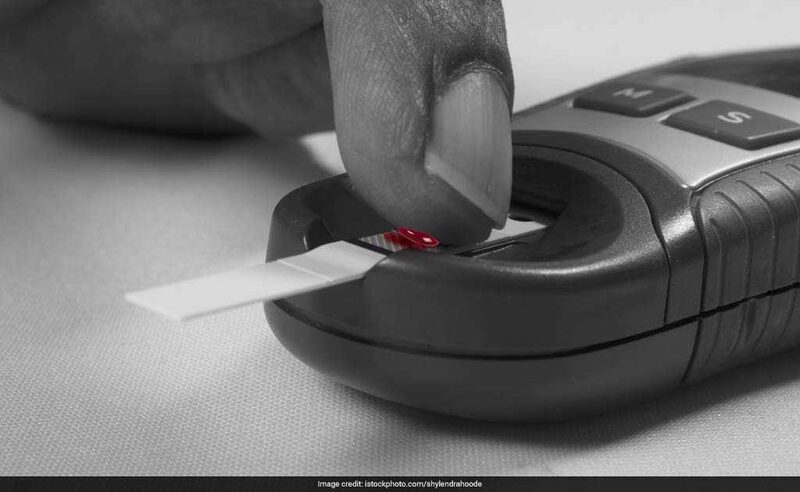 Diabetes in India is becoming common among people belonging to lower socio-economic groups living in urban regions of the more developed states, the study published in the Lancet Diabetes and Endocrinology journal, said. The study said the findings were a matter of concern for India, where most people pay the cost of treatment out of their own pockets. Funded by the Indian Council of Medical Research (ICMR) and the Department of Health Research in the Ministry of Health, the study covered 57,000 people across 15 states. The body weight, height, waist circumference and blood pressure of each person were measured and glucose tolerance tests were performed to diagnose diabetes and pre-diabetes. The mean prevalence of diabetes across all 15 states was 7.3 per cent, with the rates varying from 4.3 per cent in Bihar to 13.6 per cent in Chandigarh. Almost half of the people in the study did not know they had diabetes until they were tested, it said. On an average, diabetes was twice as common in urban areas (11.2 per cent) than in rural areas (5.2 per cent). Overall, diabetes was more common among people with a higher socio-economic status, compared to people with a low socio-economic status. However, in the urban areas of seven states, most of which rank among the more economically advanced states, it was found to be higher among people from low socio-economic groups than those from higher socio-economic groups, the report highlighted. For example, in urban areas of Chandigarh, the rate of diabetes was 26.9 per cent among people from low socio-economic groups, compared to 12.9 per cent among people from high socio-economic backgrounds. In the urban areas of Punjab, the rates were 16.1 and 11.9 per cent, respectively. According to Dr Nikhil Tandon, head of the department of Endocrinology and Metabolism at AIIMS, living in a stressful urban environment, dietary practices and relative sedentariness along with consequent weight gain and body fat were the factors contributing to the increasing risk of diabetes. “Even those who belong to lower income groups have access to junk food,” he said. “The other reasons for this shift could be the increased awareness of healthy practices among affluent sections, which means they are engaging in physical activity and making necessary dietary changes to keep non communicable diseases at bay,” Dr Tandon said. Additionally, the number of people with diabetes in rural areas was much higher than that identified in previous studies. Since 70 per cent of the population in India lives in rural areas, even a small increase can translate into several million more people requiring chronic care in areas with poor access to health care, it said. “As the overall prosperity of individual states and the country as a whole increases, the diabetes epidemic is likely to disproportionately affect the poorer sections of society, a transition that has already been seen in high income countries,” explained the study’s senior author, Dr Viswanathan Mohan, president, Madras Diabetes Research Foundation, Chennai. According to the study, the prevalence of pre-diabetes was 10.3 per cent across all 15 states, varying from 6.0 per cent in Mizoram to 14.7 per cent in Tripura. In most states, the rate of pre-diabetes exceeded the rate of diabetes. The authors noted that the study did not differentiate between type 1 and type 2 diabetes. Addressing the increasing prevalence of diabetes in India will require solutions at many levels, including increased awareness of the disease and its complications throughout the country — and especially in rural areas – as well as the establishment of cost-effective prevention programmes, said Dr Vijay Viswanathan of M V Hospital for Diabetes, Chennai. Awareness should be the first priority. And studies should be made to control on the basis of data from the high-income countries which had suffered the same problem.